Barclaycard continue their relentless conquest of the capital by helping a busker process his 'earnings' in timeless plastic fashion. The Met is using a roving comedy duo to show City types how smoothly fraudsters operate. Mr. Polly Peck, Asil Nadir, is back in the capital to try and clear his name. Campaigners are to bedeck London buses with pro-female-priest posters in time for the Pope's visit. A man wanted in connection with an East London murder in 2006 has been arrested in Spain. An Ilford Madonna impersonator is suing BGT for defamation. 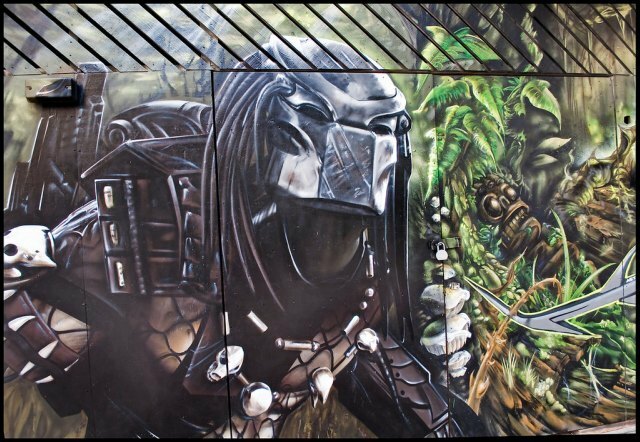 Predator, by odin's_raven via the Londonist pool.